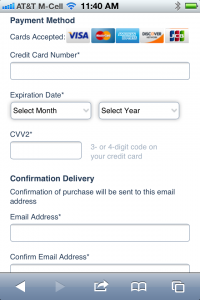 Start by going to http://m.disneyland.com on your smart phone. 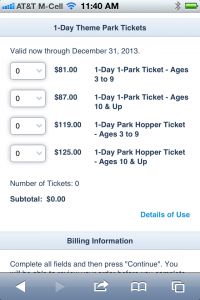 Scroll down a little, and you will see the button to click to buy tickets for Disneyland. 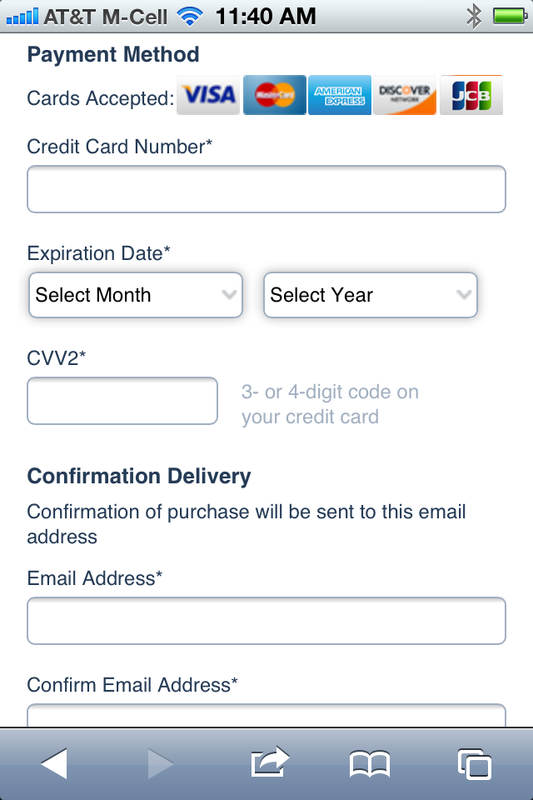 The next page shows you the ticket prices, allows you to choose quantity, and then fill in all the information… including payment. Click Continue at the bottom to confirm your order! If everything looks correct, you can finish the purchase. 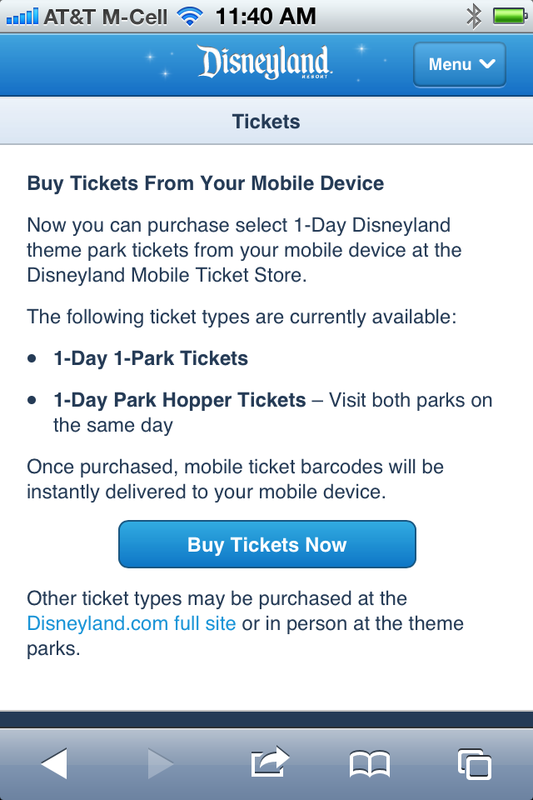 It is great to see Disney Parks embracing the mobile technology and methods for purchasing tickets. 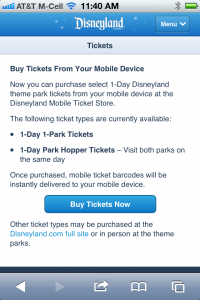 With the expected crowds at the Disneyland Resort this summer, it will be nice to have another option for people to buy their tickets! 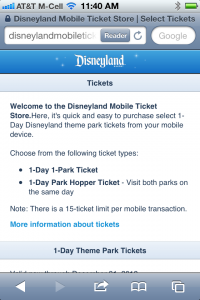 Disneyland Resort guests have a new way to purchase theme park tickets – from their smart phones! Starting today, the Disneyland Resort will begin testing this technology at the Main Entrance during busy times, all in an effort to help guests get their tickets and get into the parks faster to start enjoying their day. This is just one more option for guests, in addition to purchasing tickets at Resort ticket booths or from Disneyland.com. 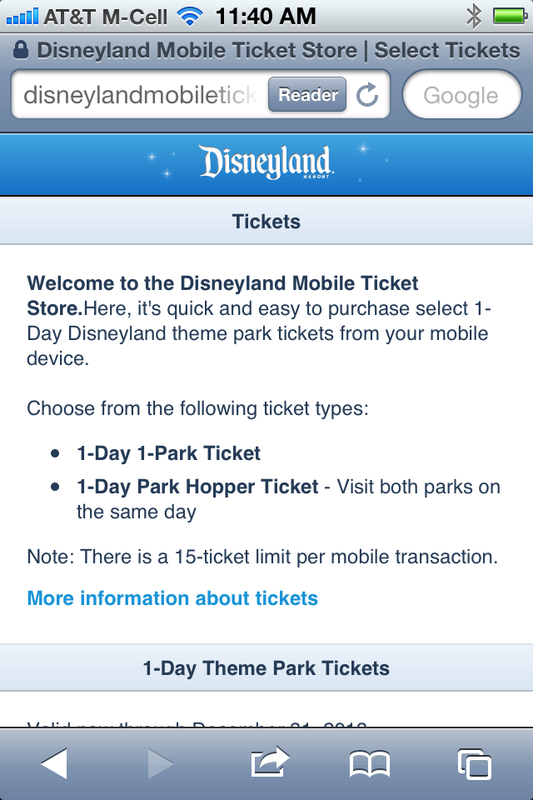 From your smart phone, go to m.disneyland.com and select “Buy Tickets” from the home page. 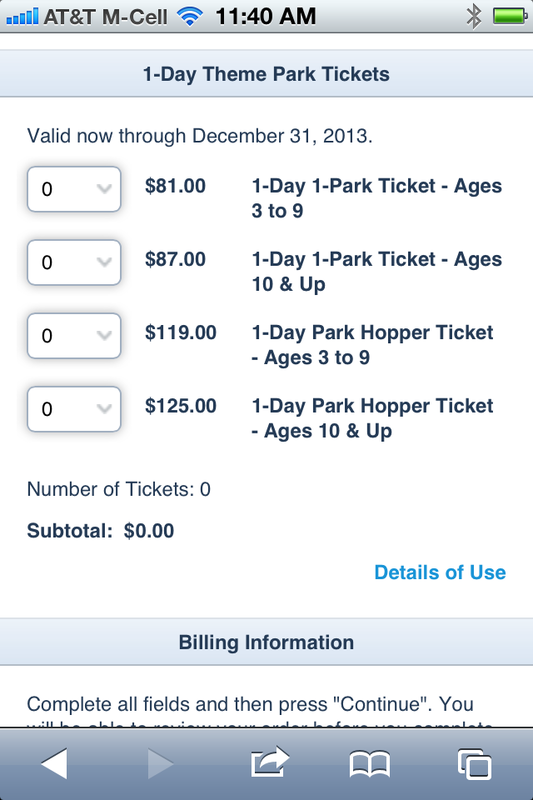 Right now, only 1-Day 1-Park, and 1-Day Park Hopper tickets are available, but 2-Day tickets will be added to the service later. After entering the number of tickets you want (up to a maximum of 15), and your credit card information, you will receive a confirmation with a barcode that will be scanned as you enter the park for which you’ve purchased your ticket. From there, you will be given a paper park ticket, which is still needed for park hopping or re-entry if you should leave the park and return later.